Rangelands can be defined as “land on which the indigenous vegetation…is predominantly grasses, grass-like plants, forbs or shrubs that are grazed or have the potential to be grazed, and which is used as a natural ecosystem for the production of grazing livestock and wildlife”. Though this definition highlights the “naturalness” of rangelands, people strongly influence rangelands in terms of management practices and tools such as livestock stocking rates, management of vegetation and use of fire. As such, rangelands depend on the interaction of the physical environment (vegetation, soils, water etc. ), with both livestock and people. Rangelands can include annual and perennial grasslands, shrub and dry woodlands, savanna, tundra, and desert. Rangelands can include natural grassland, tall grass prairies, desert shrublands, shrub woodlands, savannas, wetlands, chaparrals, deserts, tundras, taiga, and certain forb and shrub communities. Temperate and tropical forests that are used for grazing as well as timber production can also be considered to be part of rangelands. Rangelands are usually found in drylands or arid and semi-arid lands, where rainfall is low and variable resulting in the distribution of vegetation and other resources in an uneven and patchy manner. However not all rangelands are found in drylands (as indeed not all drylands are rangelands), and rangelands can include wetlands and forests too. Rangelands occupy around 47%of the world’s surface in wet or dry, and hot or cold climates . Rangelands harbour 35% of global biodiversity hotspots, and provide habitat for 28% of endangered species . They also store 30% of terrestrial carbon and have the potential to store 197 million tons of CO2 from the atmosphere per year for 30 years and when saturation is achieved they could off-set 3.3% COs emission in the U.S. from fossil fuel . Grazing lands sequester between 200-500kg of carbon per hectare per year, playing a leading role in climate change mitigation . 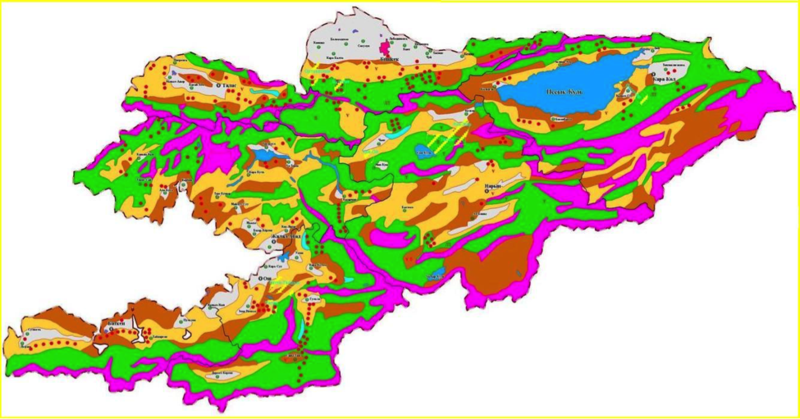 The map below shows barren land (orange), grassland (green), shrubland (turquoise), tundra-alpine (blue), and woodland-savanna (pink). At another level, the term “rangeland” can be used to describe the management unit of pastoralists and/or other land users. For pastoralists, the rangeland unit will include both dry and wet season grazing, water points and such as salt-licks (for cattle). Pastoralists have an intricate understanding of their rangeland unit. 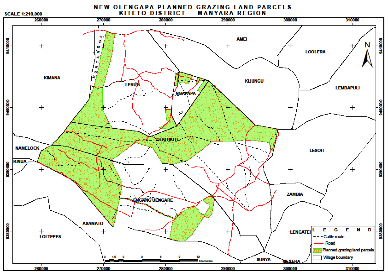 An example of a map of a rangelands unit drawn on the ground by pastoralists in Tanzania is shown here. Though there is disagreement about what proportion of rangelands globally is degraded with some estimates as high as 73 percent, it is clear that many rangelands are in a critical condition . Some of this has occurred through local mismanagement, but much has been caused by the knock-on effects of poorly designed projects, ill-informed or inappropriate policies and legislation, and a lack of investment in technologies to improve the productivity of rangelands as well as in strengthening governance and management systems. A root cause of this situation is the lack of tenure security that pastoralists and other rangeland users often have. Without this tenure security, there are not strong incentives to invest and improve the rangelands, and the rangelands remain vulnerable and open to encroachment and appropriation. In order to reverse this situation, land tenure security needs to be improved together with improved land use planning involving rangeland users. This will lead to increased investment in rangelands in order to rehabilitate lands where required and improve their productivity. Drylands are tropical and temperate areas defined by their scarcity of water. 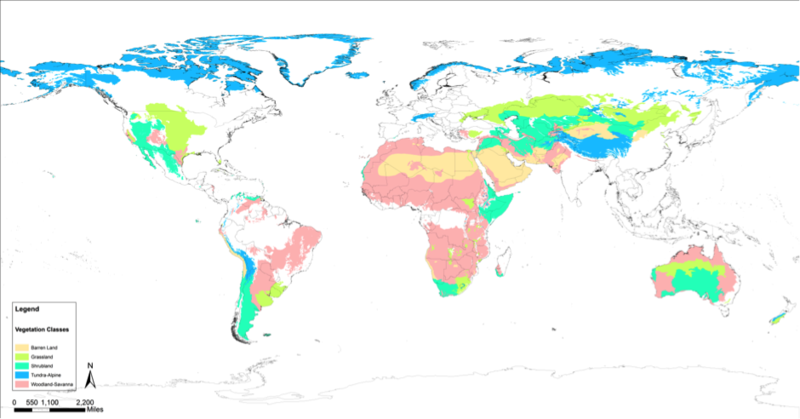 They have an aridity index of less than 0.65, where potential evapotranspiration is 1.5 times greater than actual mean precipitation. Drylands can be classified into four categories based on precipitation: dry sub-humid, semi-arid, arid and hyper-arid. 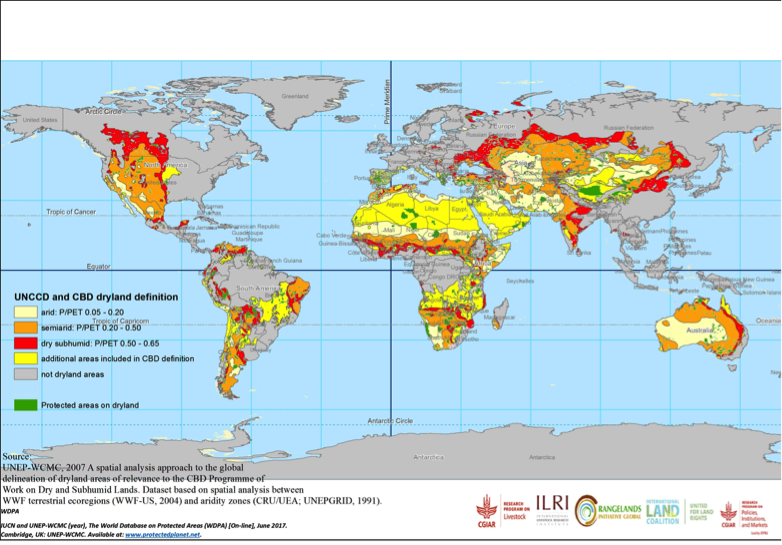 Within these four subtypes, land use is significantly influenced by rainfall, with crop production declining rapidly with increasing aridity. 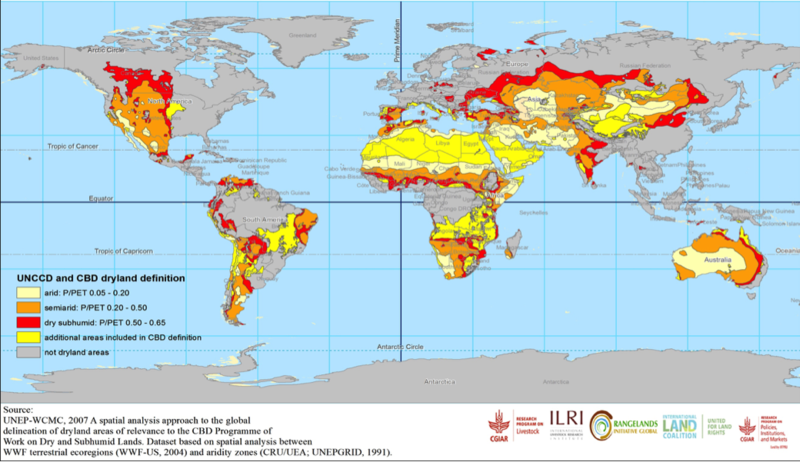 Collectively, drylands comprise nearly half of the land mass: 41.3% of the earth surface. About 72% of drylands occur in developing countries and this proportion increases with aridity: almost 100% of all hyper-arid lands are in the developing world . Drylands are home to a third of the human population (about 2.5 billion people) with the majority of these people living in developing countries . Many drylands are therefore associated with high levels of poverty. 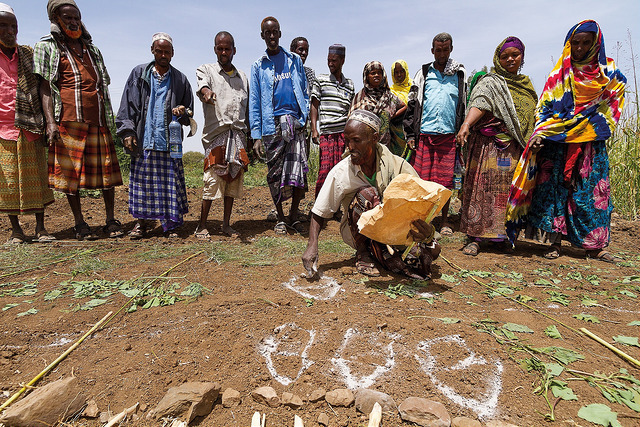 Dryland populations are often marginalised from development and policy processes, as well as political dialogue, and in many countries they have been denied sustainable development and related appropriate investments. Though the majority of drylands exist as rangelands, some drylands are irrigated and used for crops, with others managed as small, extensive livestock smallholdings. Here there may be little if any movement of livestock and rather, the system depends upon strict and careful management of water and other resources. 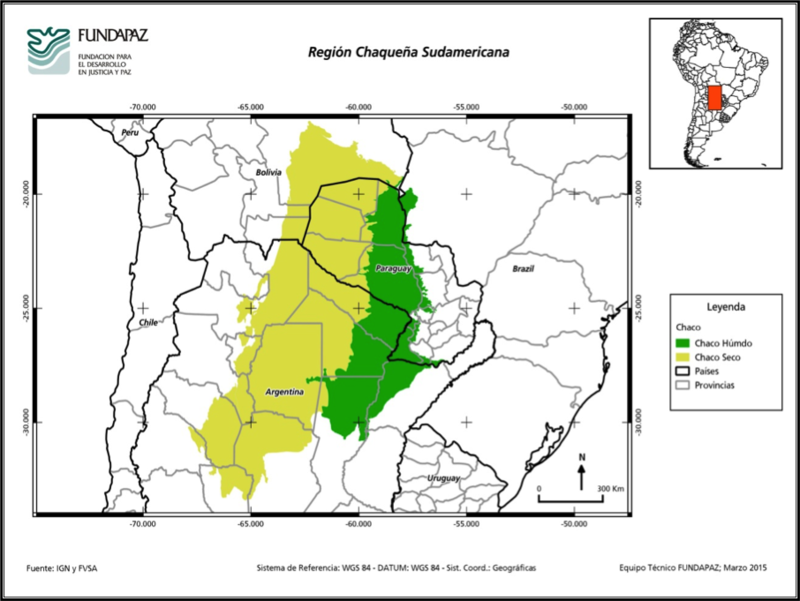 For example, the American Gran Chaco in northeastern Brazil and the dry corridor of Central America, including some areas up to the Caribbean coastline is home to a large number of peasant communities with small livestock holdings many living in extreme poverty and with insecure rights to their territories. Pastoralism an extensive livestock production system that suits the environmental conditions found in rangelands and/or drylands, and more often than not, has environmental and economic comparative advantages over other land uses in these areas. It plays a major role in safeguarding natural capital and delivers a wide range of economic values making use of areas of low overall biomass productivity that are ill-suited to intensive management systems. Pastoralism efficiently utilises the great diversity and temporal and spatial variability of rangeland resources . Effective rangeland management and use of the resources is required for successful and sustainable pastoralism. Pastoralism combines different activities that protect and improve the vegetation, manage the herd including types and numbers of livestock, and work in a cyclical manner in response to the seasons, rainfall, and resource availability. Management tools include rotation and shifting of use of grazing land and pastures between and within seasons, including from lowlands to highlands or mountain areas; and ‘controlled fire’ to reduce the abundance of woody plants and promotes herbaceous plants including grasses, forbs, and grass-like plants, whilst killing-off parasites such as ticks. Other tools include reseeding of grasses, the establishment of exclosures or enclosures, and soil and water conservation. When livestock is not managed effectively, overgrazing and degradation of rangelands can occur leading to bare soil and/or easy invasion of non-local plant species, trends that are difficult to reverse. Pastoralism, being an extensive land use system, often facilitates co-habitation with wildlife including large mammal species. Pastoralism also contributes other environmental services including maintaining soil fertility and soil carbon and contributing to water regulation and biodiversity conservation . Pastoralism is found across the world with significant areas in the western U.S., Latin America, northern and south-west Europe, Central Asia, sub-Saharan Africa, parts of South Asia and Australia. In sub-Saharan Africa, pastoral areas cover 19 percent of the total land area and are home to almost 10 percent of the human population, plus some 15 million cattle with increasingly large numbers of goats, sheep and camels too. 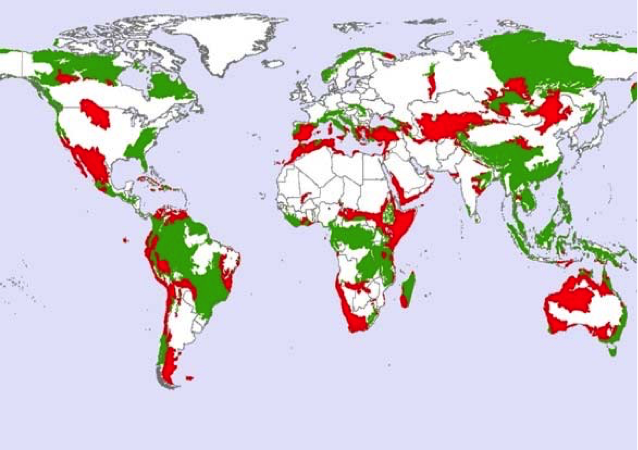 Though some of these areas could be used for more intensified use or crop farming, the majority are only suitable for extensive livestock production . Though pastoralism is usually the priority use of rangelands, rangelands also supply a variety of products and services that support other land uses including minerals, construction materials, medicines, fuels, gums/resins, conserve soil and water, and due to their often-high amounts of biodiversity and wildlife, tourism. 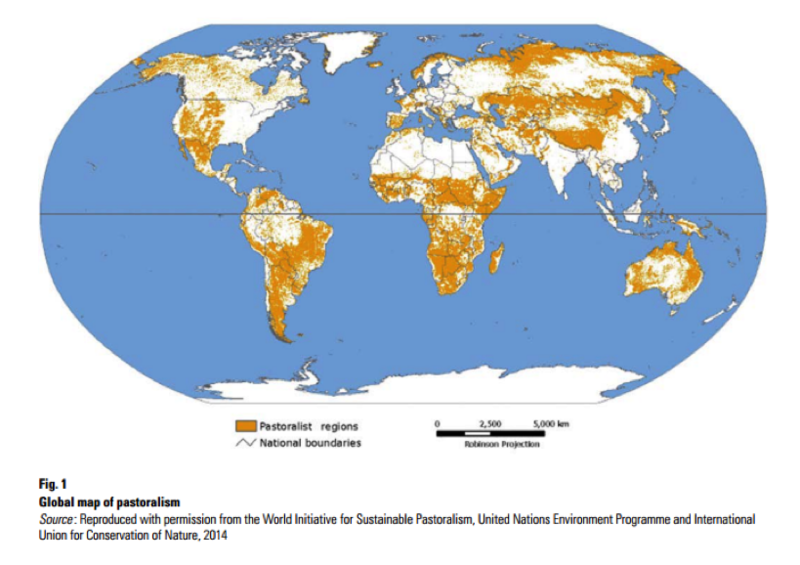 A significant amount of the world’s biodiversity hotspots are found in drylands and approximately 9% of drylands are covered by a protected area designation. Despite pastoralism being a land use system that has comparatively benign effects on the environment and pastoralists having been “stewards” of these lands and the wildlife found on them for centuries, often pastoralist lands have been appropriated for conservation use. This has caused much conflict and grief between conservationists and pastoralists. 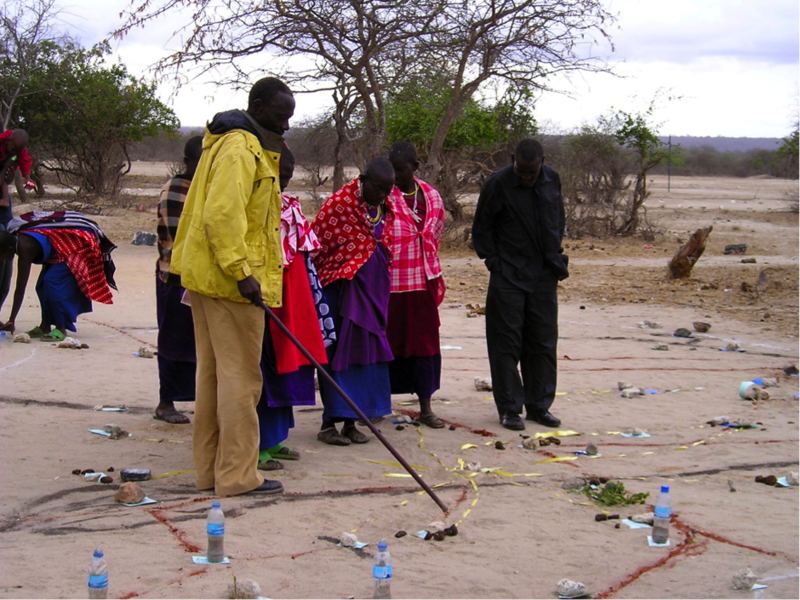 Encouragingly alternative approaches to conservation are increasingly being developed that support the co-existence of pastoralists and wildlife through community-based conservation initiatives such as Indigenous Community Conserved Areas (ICCAs) http://www.iccaregistry.org. These co-management initiatives have proved to be highly effective in protecting rangelands and wildlife, whilst allowing pastoralists and other rangelands users to more efficiently use and manage the land and to create income from such as tourism. Sadly though such initiatives clearly have benefits for both conservation and pastoralists, the evictions of pastoralists from their lands in the name of conservation still happens . Pastoralism is carried out by pastoralists, who are highly capable livestock and rangeland managers, service providers and income-generators. There are several hundred million pastoralists spanning the world from Australia through Africa and Asia to northern Europe and Latin America. In addition, the 2.5 billion or so people that live in drylands including rangelands utilise animal protein, water, fibre, health products and other benefits on a daily basis . Pastoralists can include nomadic and transhumant herders, and those that also grow crops in a more settled lifestyle (agro-pastoralists) or who may be urban-based but still have herds managed by others in rural areas. Livestock managed by pastoralists includes camels, yaks, horses reindeer, and llamas, alpacas, buffaloes, donkeys as well as the more common cattle, sheep and goats. 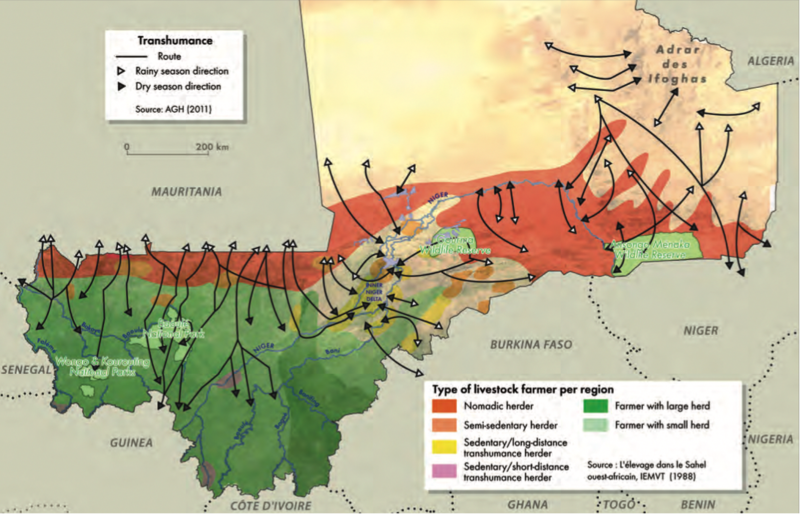 As shown below in West Africa, many different types of pastoralists can be found in one place, with nomadic herders, semi-sedentary herders, sedentary/long- or short-distance transhumance herders, and farmers with large or small herds all making use of the dryland and rangeland areas. All have different movement patterns, that change across the seasons. This makes things very complicated for land use planning, land governance and for rangeland management. Mapping of farming systems, areas and human and cattle population in the year 2000 revealed that there are, on average, 8 people per km2 living in rangelands (compared to approximately 280 people per km2 in mixed intensive-livestock systems). Livestock also tends to be sparsely distributed across rangelands – as shown in this study cattle are distributed at low densities of about 4 TLU (tropical livestock units) per km2 (compared to 25 TLU per km2 in the more intensive systems) . CSA = Central and South America; EA = East Asia; SA = South Asia; SEA = Southeast Asia; SSA = sub-Saharan Africa; WANA = West Asia and North Africa . In more traditional pastoralist societies it is believed that ‘land’ belongs to a spiritual entity, leader or ‘God’ – no-one can ‘own’ land and as such it should be managed and used collectively on behalf of the ‘God.’ Pastoralist men and women often have clear and defined roles in the livestock production process. 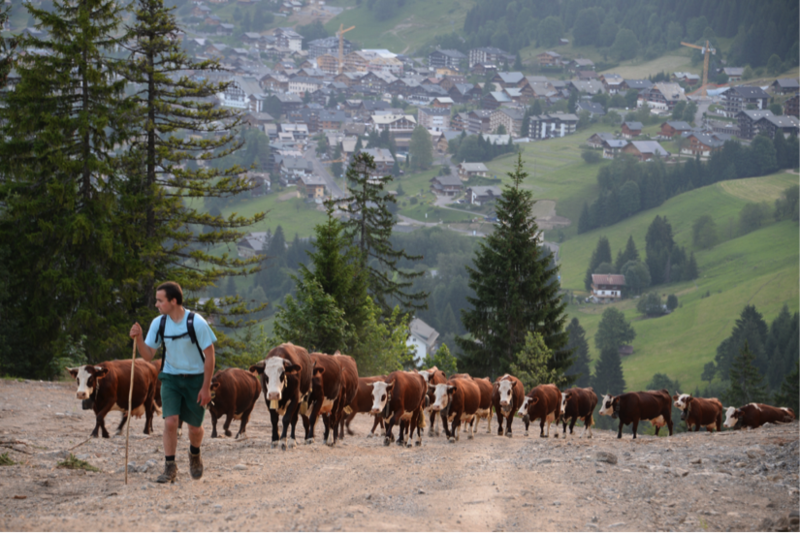 Men are more likely to be the ones that take livestock on long treks to far-off pastures, leaving women with the rest of the family looking after the ‘home’ herd and/or small stock to be grazed closer to the household. Indeed the role of women pastoralists, as well as men, in the pastoral system should not be underestimated. However, though women are a part of pastoralist society they may not have as strong a say in decision-making processes as men including in relation to accessing land and resources . Conflicts can be common in pastoralist areas, which may be triggered by competition for natural resources but are likely to have deep-rooted causes, more socio-economic or political in nature. Human insecurity and conflict can make large areas unsafe for grazing. Remoteness, a lack of government control, conflicting tribal loyalties and a sense of neglect can contribute to making pastoralist areas attractive for insurgencies. Cattle raiding once a more customary and cultural practice or ‘right of passage’ for youth moving up in status, has increasingly become commercialised and as a result more violent. Peace-making movements such as those found in Kenya led by women, try to resolve some of these issues . Rangelands are governed by different land tenure arrangements. Most commonly, rangelands are governed under collective and/or communal tenure, these being the most suitable for the relatively large land use units. As part of or under the collective rangeland tenure system there may be layers of other types of land tenure and governance. Often the layers of tenure are complex and can involve a mix of customary and formal tenure systems. Below is a schematic diagram of a simplified rangeland unit showing the larger rangeland territory, under which (or as part of) there may be clan or other local political governance units, dry or wet season grazing areas that have their own management and access rules and regulations, agricultural areas that are normally (though not always) managed and accessed individually, forests managed by its own governance institution, and then there are resources or sets of resources that fill a particular niche such as a well or watering point, or a tree and have tenure arrangements specifically for it. Developing tenure arrangements that take account of this complexity is highly challenging, and increasingly so as new actors take an interest in rangelands and seek to access rangeland resources. As a result, many governments have failed to develop mechanisms and processes and/or appropriate mechanisms and processes for protecting the tenure (access, use, ‘ownership, and governance) of rangelands. At the same time, customary institutions that do exist have not been given support to adapt to new changes and challenges that they face. In Africa and South Asia, customary institutions are still relatively strong and many of the governance systems have functioned in a similar way for centuries. However, due to both internal changes amongst societies and external influences from other parties, the authority of these institutions is being challenged and in many cases weakening. In some areas this has led to a vacuum in governance, leaving rangelands and rangeland users vulnerable to unwanted change, conflicts over land use, expropriation and encroachment, poor land use planning decisions and degradation. More positively, pastoralists and other stakeholders have realised that being faced with these new challenges and changes different forms of organisation and governance are now required to govern land and resources and have taken steps to form or join with other actors in new governance partnerships and/or multi-stakeholder platforms. The following map shows the rapid land use changes seen in rangelands in southwest Iran, between 1990, 2000 and 2010 using Landsat image data, with the increase of agriculture and loss of higher quality ‘fair’ rangeland. At the same time temperatures in these areas have increased by 4-8OC over the same time period, attributed to the changes in land use . Additionally, some rangelands are owned by private individuals or state-owned and leased to an individual, and particularly in developed countries including the U.S. and Australia. In Western Australia for example, there has been a long history of pastoralism with the production system becoming increasingly intensive. By 1955 close to 90% of some areas were covered in more-or-less spatially continuous pastoral leases held and run as small family operations. However increasingly leases are being taken back by the government to hold as conservation purposes, or purchased by mining companies or indigenous groups for whom pastoralism is usually not the main priority or activity . In all pastoral areas, livestock routes are vital for facilitating movement between settlements, grazing areas, water points, markets or other, preventing conflict between those moving and those whose lands pastoralists and livestock are moving through. In because livestock movements along these routes may take several days, if not weeks, even months, services such as resting places, veterinary services, and feed are required along these routes to ensure that livestock (and people) arrive in a healthy state. Unfortunately, in the majority of countries, the protection of livestock routes and the facilitation of movement among them is given adequate attention. This means routes are often blocked or the source of conflicts over resources. Sustainable or appropriate rangeland use demands planning at a large scale in order to encompass a ‘complete’ rangeland system, although the boundaries of this may expand in non-normal years e.g. during a drought. This often requires planning beyond or across village boundaries, larger administrative units or even across national borders to ensure that mechanisms exist that allow for the movement of people and livestock. The resources found in rangelands tend to have multiple and overlapping uses that may not be clearly defined due to their complex and dynamic or changing nature. Resources are strongly connected to each other (e.g. water and grasslands) and plans for their use need to reflect this connectivity. Pastoralists classify land according to a mix of ecological, socio-economic (production), and cultural criteria. The Mursi, found in South Omo zone of south-western Ethiopia, classify their land into three types: grazing land (missa iwony), cultivated land (baa gunyang), and sacred land or ritual places (baa barrara). When discussing land use and land use management, the Mursi stress that all three types of land are vital for a healthy and productive pastoral system. As a local saying goes: “If you have only two cooking stones, you will never cook anything.” That is, if you ignore, remove, or lose one of these three important land types, the whole system will collapse. The unpredictability of rainfall makes planning particularly difficult and a degree of flexibility should be factored into plans to allow for reactive or adaptive planning. It also means that rangeland users may find long-term planning a challenge and perhaps feel it is unnecessary. 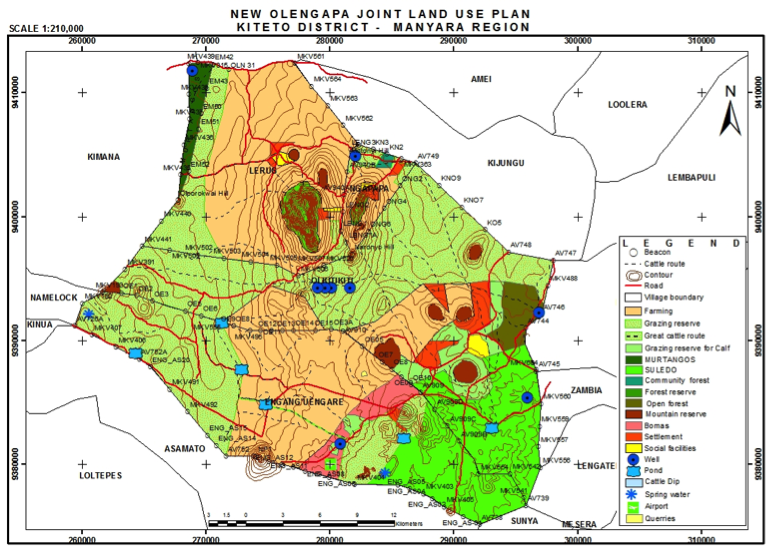 A good example of a country supporting land use planning at different levels is Tanzania, where it is expected that each village has its own village land use plan that zones different priority land uses including grazing. There are also mechanisms that encourage sharing of resources such as grazing and water across village boundaries including joint village land use planning . Beyond the village, districts are expected to have a district land use framework, and regions, a regional land use framework. At the national level, there is a national land use framework, together with plans for specific growth corridors etc. Though the policy and legislative framework is there, however, villages, districts and other levels face challenges in accessing adequate resources for the planning processes, ensuring plans once developed are implemented and aligned both horizontally and vertically. In order to assist pastoralists to protect and optimise the use of rangelands, an increasing number of international initiatives are being established. These include initiatives that seek to improve the understanding of rangelands and pastoralism and the benefits of them; advocate and lobby for pastoralist rights; influence major decision-makers about land use in rangelands through for example, providing international guiding frameworks; mobilise pastoralists and build their capacity to engage in decision-making processes; and connect organisations and strengthen pastoralist networks including for information exchange. FAO has also supported the development of a Technical Guide on Governance of Pastoral Lands as part of the VGGT (Voluntary Guidelines on the Responsible Governance of Tenure of Land, Fisheries and Forests in the Context of National Food Security). The Rangelands Partnership (RP) is a collaboration of 19 western and mid-western U.S. land-grant universities in cooperation with several national and international partners. Members include rangeland specialists, librarians, and technology experts uniquely interacting to bring specialized collections and resources to rangelands stakeholders everywhere. The primary product of the RP is a suite of websites including Global Rangelands, Rangelands West, and state-specific rangeland sites. On these websites, users can search and find links to more than 20,000 peer-reviewed journal articles, websites, images, videos, maps, reports, and educational tools, as well as unique pages on key topics. These resources are useful in research, teaching, and practical applications for the sustainable management of rangelands. Members participate in a network designed to facilitate their local efforts. Range specialists have access to a state-specific websites backed by a large database of range-related materials. Librarians will find access to a shared metadata catalog of range-related digital collections and journal literature. Members also have access to a network of resources and experiences that in recent years have included professional development for extension agents, educational and curricular resources for teaching/learning about rangelands, and support for content and database development. For more information contact Barbara Hutchinson (barbarah@cals.arizona.edu) or Mark Thorne (thornem@hawaii.edu). Beginning in early 2016, a number of organizations began working together to gain support for a United Nations designated International Year of Rangelands and Pastoralists (IYRP). One important event that brought particular attention to this effort was the United Nations Environment Assembly conference held in Nairobi in May of 2016 (UNEA-2), and which included a Side Event on “Sustainable Pastoralism and the Responsible Consumption of Livestock”. The outcome of UNEA-2 was a successful resolution “Combating desertification, land degradation, and drought and promoting sustainable pastoralism and rangelands”. While this resolution did not include a provision for an International Year, it did include language calling upon organizations around the world to “contribute to raising the awareness of sustainable pastoralism and rangelands.” It also called for a worldwide gap analysis related to rangelands issues. Numerous other meetings and events are taking place in 2017/18 and an IYRP Steering Committee is now meeting monthly to coordinate the effort. For more information, contact Jim O'Rourke (jorourke@csc.edu), Maryam Niamir-Fuller (mniafull2@gmail.com) or Barbara Hutchinson (barbarah@cals.arizona.edu). Allen, V.G., Batello, C., Beretta, E.J., Hodgson, J., Kothmann, M., Li, X., McIvor, J., Milne, J., Morris, C., Peeters, A. and Sanderson, M., 2011. An international terminology for grazing lands and grazing animals (The Forage and Grazing Terminology Committee). Grass and Forage Science. 66: 2-28. Heitschmidt, R. and J. Stuth (1991). Grazing Management: An Ecological Perspective. Stafford Smith, D.M., G.M. McKeon, I.W. Watson, B.K. Henry, G.S. Stone, et al. 2007. “Learning from episodes of degradation and recovery in variable Australian rangelands.” Proceedings of the National Academy of Sciences of the United States of America 104: 20690–20695. R. Reid, M. Fernandez-Gimenez and K. Galvin (2014) “Dynamics and resilience of rangelands and pastoral peoples around the globe.” Annual Review of Environment and Resources. Vol. 39. C.McDermot and S. Elavarthi (2014) “Rangelands as carbon sinks to mitigate climate change: Review.” Journal of Earth Science and Climate Change Vol. 5. D. McGahey, J. Davies, N. Hagelberg, and R. Ouedraogo (2014). Pastoralism and the Green Economy – a natural nexus? Nairobi: IUCN and UNEP. Gibbs, U. and Salmon, J. (2015) “Mapping the world’s degraded lands” Applied Geography, Vol 12-21. MEA (2005) Ecosystems and Human Well-being: Deserti cation Synthesis. Millennium Ecosystem Assessment. World Resources Institute, Washington, DC. Safriel, U., Adeel, Z., Niemeijer, D., Puigdefabregas, J., White, R., Lal, R., Winslow, M., Ziedler, J., Prince, S., Archner, E., King, C., 2005. “Dryland systems”. In: Hassan, R Scholes, R.J., Ash, N. (Eds. ), Ecosystems Human Well-Being. Findings of the Conditions Trends Working Group of the Millennium Ecosystem Assessment, vol. 1. Island Press, Washington D.C., U.S.A, pp. 623–662.). Davies, J., Ogali, C., Laban, P. and Metternich, G. (2015) Homing in on the range: Enabling investments for sustainable land management. Technical Brief 29/01/2015. Nairobi: IUCN. Robinson, T.P., Thornton P.K., Franceschini, G., Kruska, R.L., Chiozza, F., Notenbaert, A., Cecchi, G., Herrero, M., Epprecht, M., Fritz, S., You, L., Conchedda, G. & See, L. (2011). Global livestock production systems. Rome, Food and Agriculture Organization of the United Nations (FAO) and International Livestock Research Institute (ILRI), 152 pp. C. Sorensen and D. Vinding (2016). Tanzanian Pastoralists Threatened: Evictions, Human Rights and Loss of Livelihood. Denmark: IWIGIA. Robinson, T.P., Thornton P.K., Franceschini, G., Kruska, R.L., Chiozza, F., Notenbaert, A., Cecchi, G., Herrero, M., Epprecht, M., Fritz, S., You, L., Conchedda, G. & See, L. 2011. Global livestock production systems. Rome, Food and Agriculture Organization of the United Nations (FAO) and International Livestock Research Institute (ILRI), 152 pp. 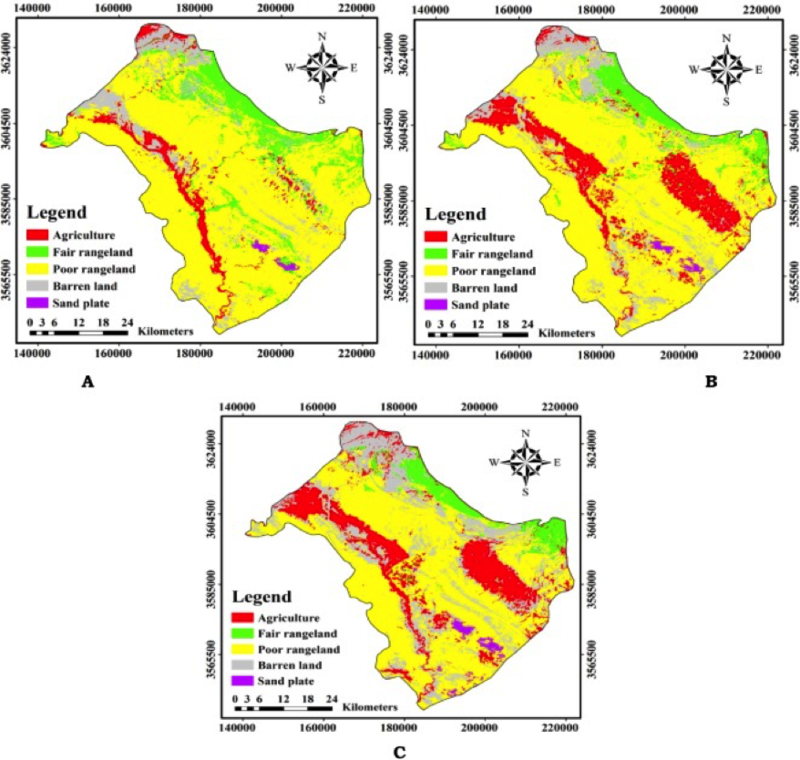 H. Fathizad, M. Tazeh, S. Kalantari, and S. Shojaei (2017) “The investigation of spatiotemporal variations of land surface based on land use changes using NDVI in southwest of Iran.” Journal of African Earth Sciences. Vol. 134. A. Egemberdiev A. (2017) “Reform in pastoral sector in Kyrgyzstan” at the Second WG Meeting of Asia Rangelands Initiative (Central Asia), August, 2017. Ulaanbaatar, Mongolia, in Russian. Department of Agriculture and Food, WA. (2016), Western Australia Pastoral Land Tenure. Department of Agriculture and Food, Western Australia, Perth. Map. Shared by ILRI for the Sustainable Rangeland Management Project, Tanzania. This indicator measures the total dryland area (in sq. km) that can be defined as additional dryland area, in a given country. This indicator measures the total dryland area (in sq. km) that can be defined as arid, in a given country. This indicator measures the total dryland area (in sq. km) that can be defined as semiarid, in a given country. This indicator measures the total dryland area (in sq. km) that can be defined as subhumid, in a given country. This country-level indicator measures the extension (in sq. Km) of livestock-only systems in rangeland-based arid and semi-arid areas [LGA]. This country-level indicator measures the extension (in sq. 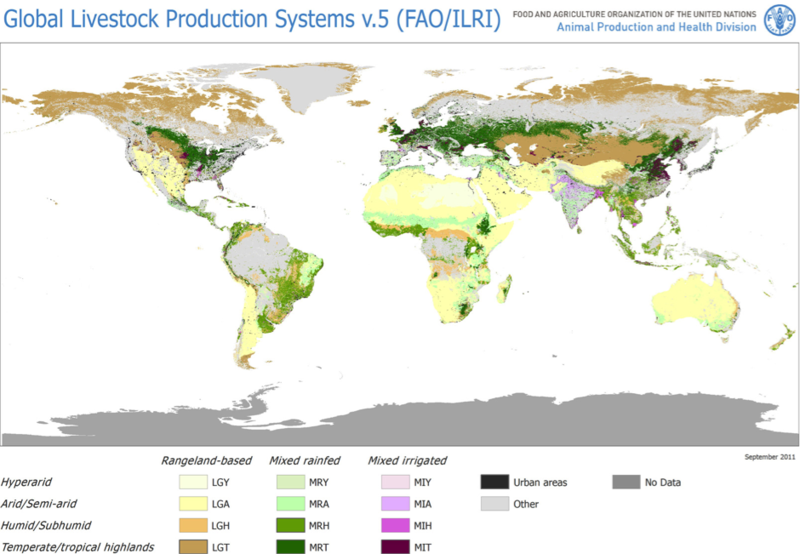 Km) of livestock-only systems in rangeland-based hyper-arid areas [LGY]. This indicators measures the country-level extension (in sq. Km) of the residential rangelands anthrome class, which includes rangelands with substantial human population. This indicators measures the country-level extension (in sq. Km) of the "remote rangelands" anthrome class, which includes rangelands without significantl human population. Temporary meadows and pastures is the land (1'000 Ha) temporarily cultivated with herbaceous forage crops for mowing or pasture. Disclaimer: The data displayed on the Land Portal is provided by third parties indicated as the data source or as the data provider. The Land Portal team is constantly working to ensure the highest possible standard of data quality and accuracy, yet the data is by its nature approximate and will contain some inaccuracies. The data may contain errors introduced by the data provider(s) and/or by the Land Portal team. In addition, this page allows you to compare data from different sources, but not all indicators are necessarily statistically comparable. The Land Portal Foundation (A) expressly disclaims the accuracy, adequacy, or completeness of any data and (B) shall not be liable for any errors, omissions or other defects in, delays or interruptions in such data, or for any actions taken in reliance thereon. Neither the Land Portal Foundation nor any of its data providers will be liable for any damages relating to your use of the data provided herein.